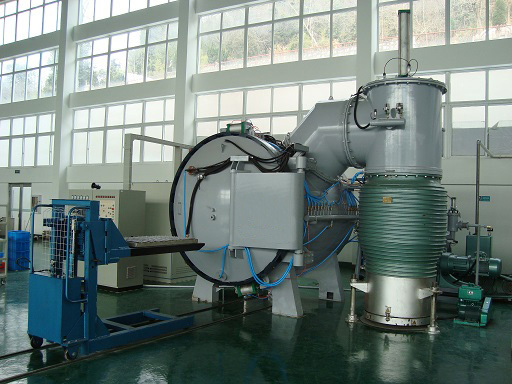 The high vacuum sintering furnace has the characteristics of denaturation, large hysteresis and non-linearity in powder metallurgy vacuum sintering furnace, and the fuzzy control algorithm is adopted to adopt PID control effect. PID control and fuzzy control simulation model is established, were compared, the results show that the fuzzy control, the system response speed, steady-state time of just 3.2 s, there is no overshoot, steady-state error is 1.2 ℃, the steady-state accuracy is high; The system simulation output is close to the given input waveform, and the system has a short time of adjustment, and it soon enters a stable state, and the oscillation is very small. The fuzzy control is better than the traditional PID control, which can meet the requirement of temperature control of powder metallurgy vacuum sintering furnace. Powder metallurgy vacuum sintering furnace is a big lag and nonlinear time-varying, heating system, because of the complexity of the mechanism of its physical, chemical, and affected by many factors, is difficult to obtain accurate mathematics model. When the parameter variation is large and the control precision is high, the PID control effect is hardly satisfactory. Fuzzy control does not require the system to give a precise mathematical model, according to the control rules, develop people’s actual experience to make control decision table, the control system according to the decision table, is especially suitable for sintering furnace industrial production of this kind of complex objects. Sintering process is the main factor affecting the quality of products sintering temperature and sintering time, particularly is a tall to the requirement of temperature, maximum temperature difference are generally not allowed more than a given value of plus or minus 3 ℃ ~ 5 ℃, so must be strictly controlled.